Asure Software, Inc. offers intuitive and innovative solutions designed to help organizations of all sizes and complexities build companies of the future. Asure Software cloud platforms enable more than 100,000 clients direct and indirect, worldwide to better manage their people and space in a mobile, digital, multi-generational, and global workplace. 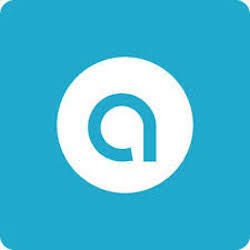 Asure Software’s offerings include a fully-integrated HCM platform, flexible benefits and compliance administration, HR consulting, and time and labor management as well as a full suite of workspace management solutions for conference room scheduling, desk sharing programs, and real estate optimization. Human Resource Management is a single-database system providing a centralized location for all workforce and HR management needs. Capture as much or as little data as needed for each employee in one secured, centralized location. The platform also allows enterprises to manage and report on all of required government documentation in one system with cloud-based SaaS tools that give an HR team secure, 24/7 access. Asure SmartMove companies to efficiently manage people, space, and asset data—with just one system. SmartMove's metrics system and interactive floor plans help enterprises manage day-to-day logistics quickly and easily. SmartMove is accessible across all devices from computers to tablets.